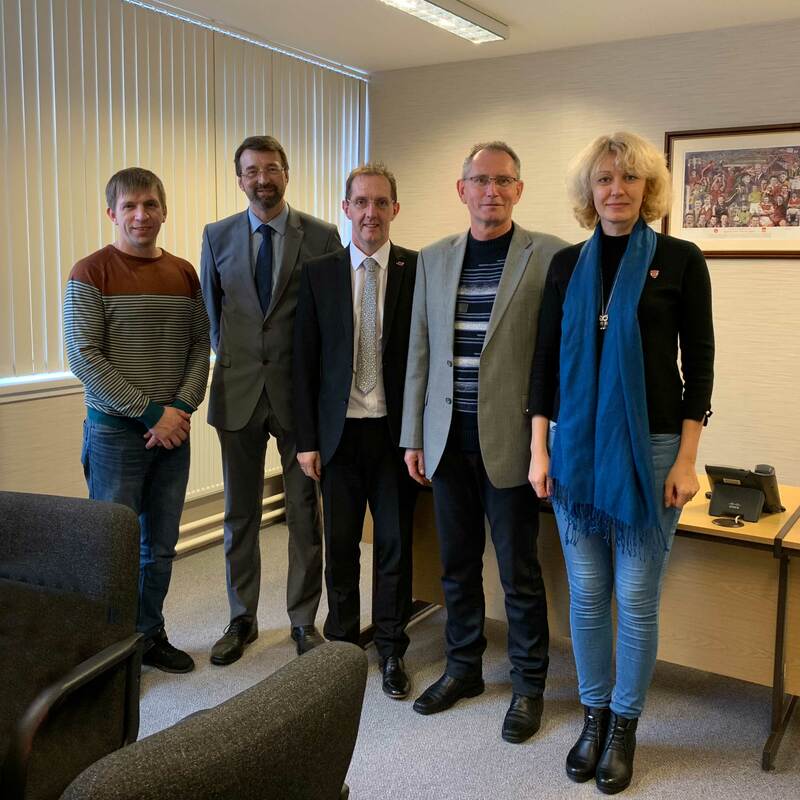 We were pleased to welcome a delegation from The Gomel State Professional Lyceum of Builders in Belarus to Tullos Training Ltd this week. We have now been twinned with this Lyceum for over 10 years as part of the Aberdeen City Council’s twinning programme. The programme allows us to exchange teaching methods, practical and theory assessments, and let our guests see our students in our workshops. Their visit also enables us to share our experiences and show our visitors some of our Scottish culture. On Monday, we welcomed the three visitors and their translator to Tullos Training for tea and coffee before taking them on an in depth tour of our premises where they were able to see our students working in the workshops and see some of out teaching methods first hand. For lunch, our visitors were taken to The Ashvale before crossing the road for a guided tour of Trinity Hall which hosts the daily life of the Seven Incorporated Trades of Aberdeen. On Tuesday, our visitors were collected from their accomodation at The Brentwood Hotel and attended The Founders Tour at Glen Garioch Disterilly in Oldmeldrum. Our visitors were given a tour by Rob who told them about the Manson brothers who founded the disterilly in 1797 and the craftsmanship that goes into the making of every bottle of whisky with the Manson name on it. During their tour our guests were treated to a dram of Glen Garioch Founder’s Reserve. Following their visit to the disterilly, Jim and Bryan took them for lunch at Inverurie Garden Centre. On Tuesday evening, they were invited to attend a traditional Scots dinner of haggis, neeps and tatties. On Wednesday, Jim and Bryan surprised our guests with a visit to Jim Fraser’s farm in Netherley so that they could see his highland cows as they had mentioned to Jim on Tuesday that when they think of Scotland, they think of highland cows and the Loch Ness Monster. After a quick cup of coffee at Tullos Training Ltd, Jim, Bryan and our Belarusian visitors went to Lochside Academy and were given a tour of the newly opened, state of the art school by Head Teacher, Neil Hendry. We then welcomed them back to Tullos for a traditional Scottish soup and sandwiches. After lunch, Jim went shopping with the guests at Aberdeen Beach Retail Park and then dropped them back at their hotel so that they could get ready for their leaving dinner which was held at Jack’s Grill. Our Belarusian guests enjoyed their visit and loved experiencing the Scottish culture for the few days that they were here. Thank you to everyone involved in making their visit an enjoyable experience.